Munch’s Oddysey is an addictive action puzzle adventure for Android. 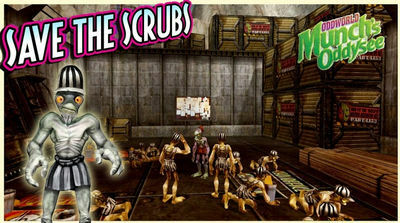 This is the third Oddworld installment in the classic series, featuring strange creatures, mystical destinies and gorgeous 3D environments. 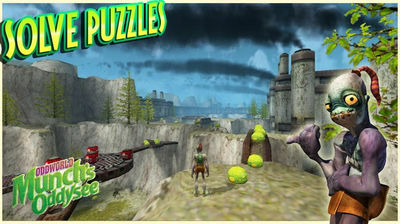 Oddworld Munch's Oddysee APK (ver 1.0.3) can be downloaded for free onto your Android so have fun. Remember though Oddworld is a strange world and if this is the first time you're entering it, you might get overwhelmed! - Includes everyone's favourite Gamespeak screen for both Abe & Munch! 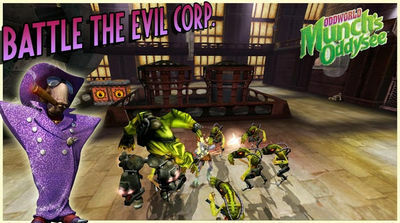 If you like Oddworld that much you might also want to download Oddworld Stranger's Wrath for Android. - Improve resolution of UI. - Analog stick hint at start of tutorial in touch mode. Install Apk, Extract SD Data (same as ver 1.0.2) and copy ‘com.oddworld.Munch’ folder to sdcard/Android/obb, Play and have fun!